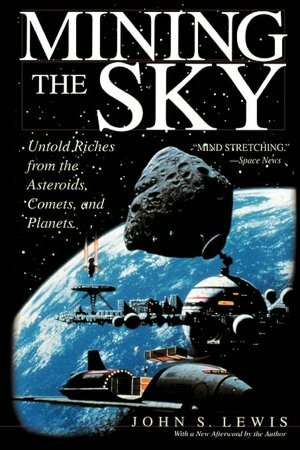 When I was a teenager I remember lying in my grandma’s back garden in Damascus reading “Mining the Sky” by John S. Lewi for several days and since then I’ve been hooked on starting my own company to mine asteroids and the moon after making my millions in IT like Elon Musk (who’s pretty much living the life I imagined back then!). I’ve been hooked on starting a Space Company since I was a kid, and a huge believer in private enterprise taking humans into Space ahead of the inefficiencies of government space programs like NASA. There’s a bunch of dot.com/IT billionaires who share the same dream that are willing to finance new ventures in the Space Industry, or in the case of Elon Musk use a significant chunk of their wealth to start their own private space Enterprise, SpaceX. With the US Government making huge spending cuts, huge numbers of very talented and experienced Engineers are leaving NASA looking for the next challenge in Space, some to found companies, others to be hired into new start-ups. NASA is also leaning on private Space Enterprises to fill in the gaps in its program. SpaceX’s contract is with NASA for up to $1bil. to replace the Space Shuttle to the ISS since it was decommissioned could effectively fund the initial growth of SpaceX to a commercially sustainable company. Competitions like the X-Prize have re-invigorated small teams to innovate and bring down the cost of getting to Orbit dramatically with a previous winner becoming Virgin Galactic and allowing Space Tourists to do a sub-orbital flight for ONLY $200k (cheap by previous standards!). Advances in electronics, computing power and other technology are bringing down the weight, size and complexity of Space systems required to launch new missions. For example. an Apple iPhone now has more computing power than the entire Apollo program did in the 1960’s! It’s all these factors that have led to the formation of Planetary Resources last week, about 10-20 years ahead of what I expected! Following my previous post on how the commoditization of technology can severely disrupt industries (and lead to Bubbles), the huge risk to this new venture aside, if successful Planetary Resources has the potential to completely commoditize the basic resources required to create a sustainable industry in space. SpaceX has focused on the first problem of dramatically bringing down the cost of getting into Space, but even at much lower prices, it will still not be economically viable to lift thousands of tons from Earth for all the materials we’d need to build and launch a new industry in space with large space stations, moon bases and deep space craft. If anything it would even over-stretch the already depleting resources of Earth causing more problems for the population down here and raising commodity prices even higher. If we want to move significant numbers of people into space, find new energy sources and launch new industries in Space, you need to mine the resources in Space already, there’s no other way to do it. That’s why I am so interested in space mining, it is the key to catalysing the Space Industry, making it economically viable to launch hundreds or thousands of new ventures in Space the same way Cloud computing has bought the economics of launching new IT/web start-ups down to a level where thousands of previously un-viable companies can now exist. It also has the added bonus of potentially solving energy and resource issues down here on Earth too. While my original dream was to be the person doing what Planetary Resources was doing, between SpaceX and Planetary Resources its viable that by the time I’m ready over the next 10-20 years the basic infrastructure for a Space gold rush could be in place! In fact this company being successful could be key to that, to make it affordable for future Entrepreneurs to get access to Space and launch new ventures that capitalise on the cheap access to resources and energy in Space.